Finding a good holster for your favorite handgun is never an easy task. No matter how many are out there, something is always off with them, even if you purchase one made specifically for your model. Not only that but the price can sometimes be obscenely high especially if you go for a well-known brand. If you had given up searching for a great one, you should learn how to make a Kydex holster yourself. 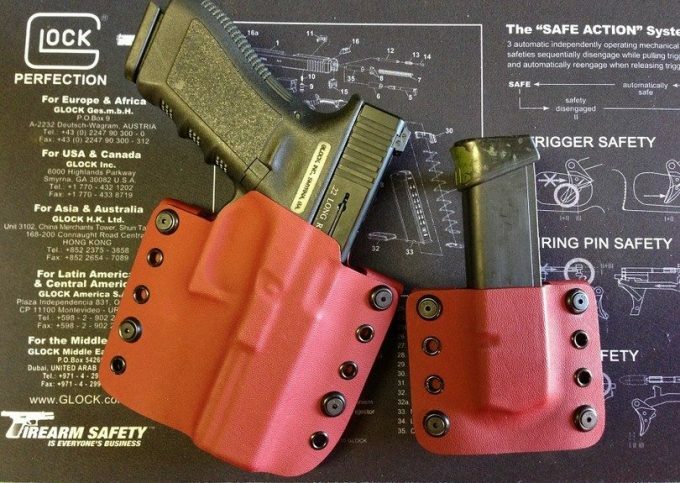 Kydex holsters should befairly easy to make, even when it comes to absolute DIY beginners. 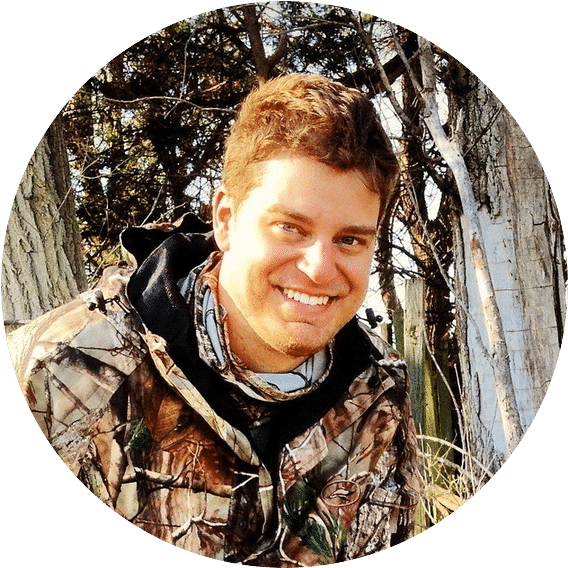 By learning how to make them, you will be able to make an affordable and accurately fitting holster in a matter of hours that will successfully serve its purpose for many years to come, no matter the gun model you have. In this how-to article, we will show you how you can create one without much hassle, using mostly tools that you can find in most people’s homes. First, we will list every small detail that you will need to note down before starting the project, as well as the materials and the tools you’ll have to prepare.Follow up to learn more! There are so many materials that holsters are made of today, that it is almost impossible to count them all. Many people go for the old-school leather approach, others are swearing for synthetic materials or even textile ones. There is a good reason for this. Depending on someone’s need pretty much every material can have some strong benefits when compared to others. Obviously, some can be a bit more practical than others. Then there is also the “image” aspect that might weigh in when you decide what material to choose. For example, leather holsters might look more festive and high-end, even if they are not particularly good when it comes to water resistance, they are somewhat hard to clean, and you will have to constantly treat the leather with different chemical products. So what are the exact benefits of kydex? There are plenty, and we are going to enlist them. We do wish to note that some of them are arguable and downright subjective, so we will present the ones that we do believe are true based on our own experience and overall feedback. There is one key thing to look out for before deciding to go with it. 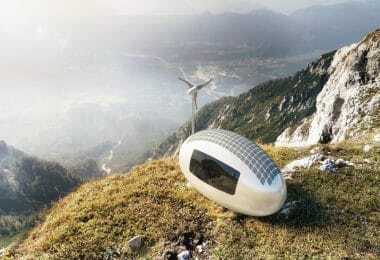 That is the comfort factor. Many people who are pro-kydex would call this nit-picking, but in reality, this is something that might make some people think twice about it, as the rigidity of the material does come with this downside. The texture and sturdiness of the material might make it a less comfortable experience for some people. This is especially true if you are already well-accustomed to using leather-made or other material based holsters. So keep this factor in mind when making the jump to this particular type of plastic. The level of comfort is heavily influenced by the thickness of the material. Kydexcan be bought at different thickness, from 0.030 inches up to half an inch. We would recommend something in the 0.1-inch range as that seems to be the thickness that is easy to work with and that will still be pretty resistant in the long run. Almost anyone can make a holster. But making a good holster and especially one out of kydex needs some preparation beforehand. 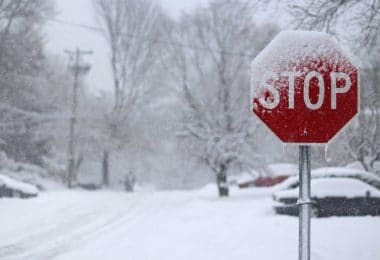 Do not forget that modifying it will need some excessive heat, so keep in mind that this is not an entirely risk-free operation. Always be cautious when handling hot tools and materials! There are several ways to make a good holster but we will show you one that we find to be the easiest. We also tried to choose tools that are more likely to be readily available for you, this way you can save both time, money and the extra effort that comes with shopping. Note that we did not mention any specific size when it comes to the tools and the materials. This is for the simple reason that there are just too many handgun models out there of varying size and caliber. If you keep in mind all the general size comparisons, you should not encounter any major issues as many of the aspects can be refined and even modified at a later date, this being yet another positive aspect of the chosen material. First, you should take the piece of kydex and put the gun on it. You will have to draw a line around it, with a pencil or marker, but try to leave a bit of extra space to have a bit of a “wiggle” room. The extra material can be cut off at a later point with a blade. Do this for both pieces and make a rough, square cut that you will polish at a later time, to reach the final form. After finishing the cutting process, the next step will be the heating. This is a fairly sensible and risky part, as you will have to heat the Kydex to 325 degrees Fahrenheit. Make sure that the process is slow, and the temperature was reached by pre-heating the oven first, otherwise, the plastic will not have a uniform temperature, thus achieving the perfect shape will be harder or downright impossible. 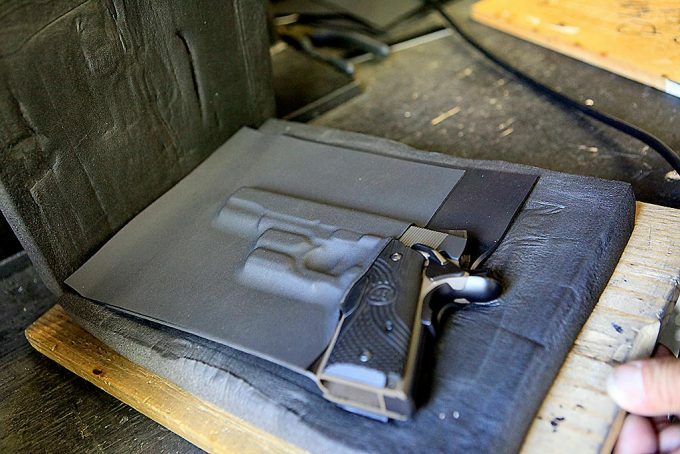 While you are heating the kydex, make sure that the press is ready for action. 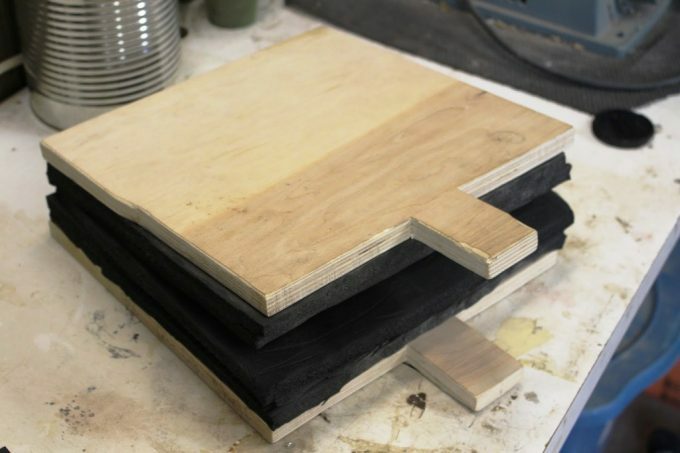 Between two pieces of wooden boards, you should glue the two slice of foam. The gluing process is not required but it will help you keep the entire thing together, especially when you will use your own bodyweight to hold it in place for a couple of minutes. As soon as the kydex pieces reach the desired temperature take them out of the oven and set the gun between the two. Be careful not to burn yourself! 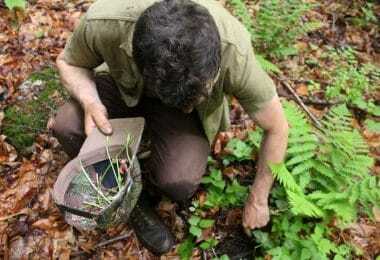 Use protective gloves all the time, otherwise, you might suffer fairly serious injuries. Press the two pieces together, until they take up the form that resembles the gun. If you want more comfort room at a later date, or maybe get a universal size, you can put duct tape on the gun before putting it between the two pieces of hot plastic. Whether you need more space (and where you need it) is up to you. Some people like more flexibility at the barrel while others at the trigger. As soon as you are done with this, get ready for the pressing. Place the gun with the plastic between the two pieces of foamed wood. Now stand on it, and remain there for the next ten minutes, until the kydex takes the perfect shape of the gun. If you have a professional press, you simply have to set it up and take a coffee break. As soon as the ten minutes pass, take the pieces apart and look at how they turned out. If you feel that it’s not perfect, you can re-heat them and try again. 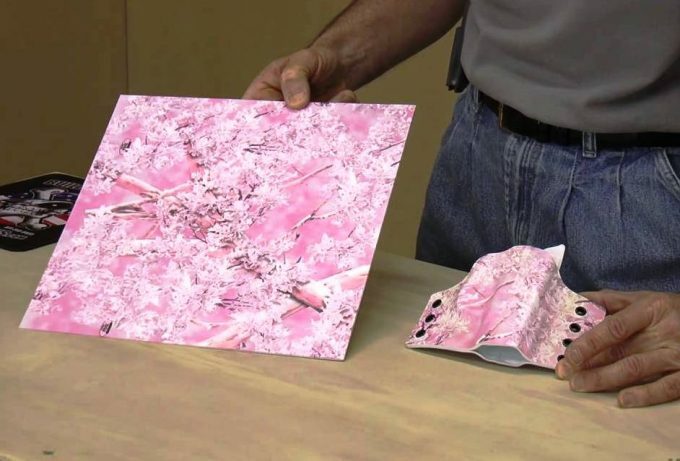 Luckily, this material is fairly flexible, so you can retry this process as many times as you need. Simply using a heat gun and forcing the required shape with your finger might also be enough to get the job done. With the previous step, you are pretty much done with what can easily be considered the hardest part. 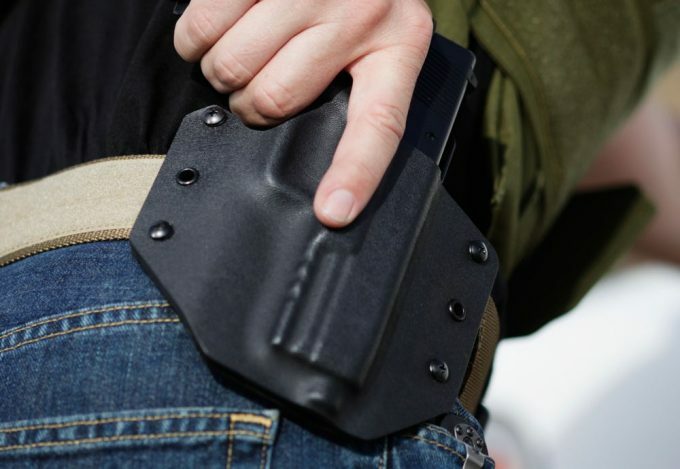 You should now have two pieces of kydex that more or less cover your entire gun. Depending on how deep you want the holster to be, you will need to cut out the desired shape and get rid of the excess plastic. Take into consideration where you want the rivets to be and leave extra material there, for the ease of the installation. If you cut deep, it will be impossible to fix it, and you will need to start the process from scratch, with brand new pieces. As soon as you are ready with this, you will need to trim and sand the edges. This is a somewhat lengthy process that needs some time to get it right. Try it out in several ways. See if any clothing material can get stuck to it. Even if this might seem like an aesthetic step, doing this the right way can actually help the usability of the holster and in some instances even reduce (marginally) the draw speed. 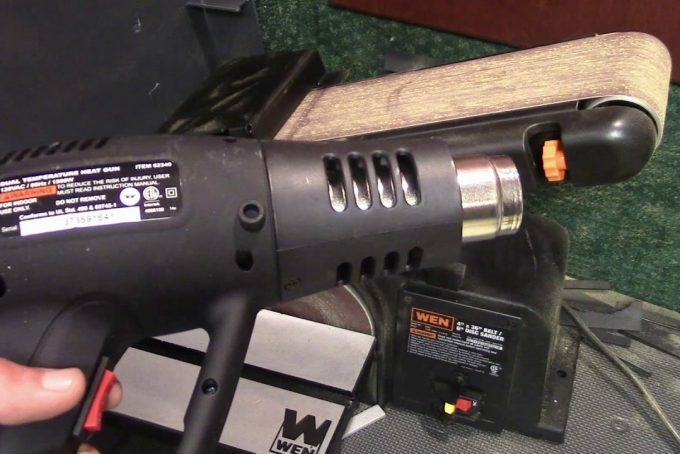 If you have a drill with sanding head this task can be a breeze. Doing it manually might take some time and as always, make sure that you are using work gloves all the time. Try to reach a point where the two parts fit together perfectly in an almost factory-like quality. After you decide where you want to insert the rivets, make the holes that are needed. You can make this with a sharp tool, but it is highly recommended to use a drill, that fits the size of the rivets. The distance between them should not be more than an inch. There are people who only use two or three pieces in total, to keep it as light as possible. While this does reduce the weight (slightly) in all honesty it won’t help the sturdiness of the holster itself in any way. Also make sure that there is no ripping present at the holes, as this might speed up the rate at which the holster will show signs of tear. 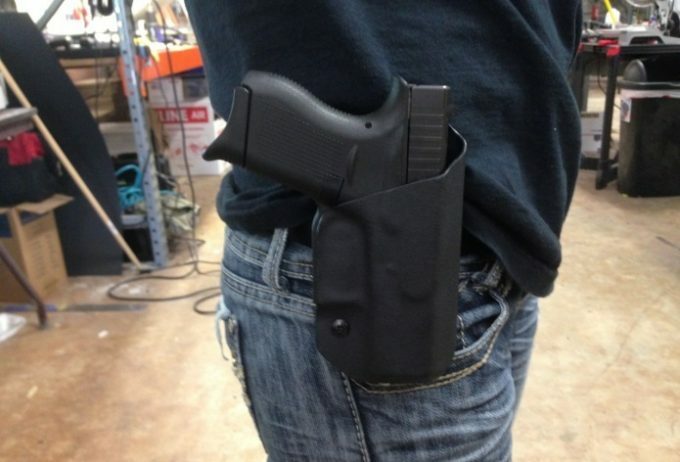 A belt clip is not a necessity, but most definitely something that most people will find useful in a holster. This should be done with kydex as well, small stripes of it, and with a heat gun. We would recommend a thicker piece in this case, but if you do not want to spend the extra money, using the residual pieces will do as well. 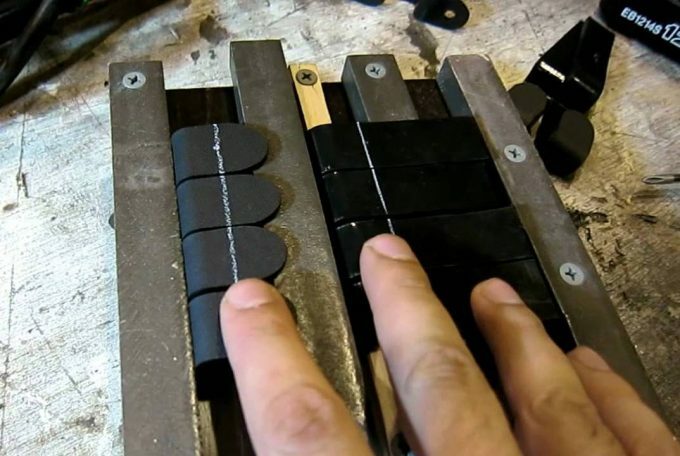 Make two of them, and after heating them up, give each the desired flat C shape with your fingers or by using a piece of metal (like a screwdriver or a hammer). 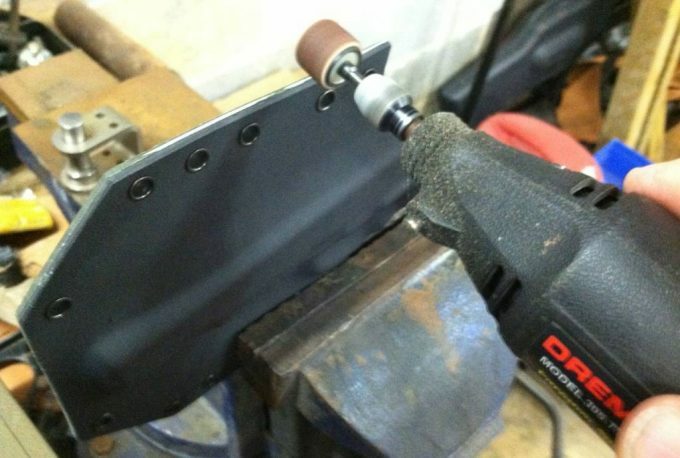 As soon as you are finished, make holes at the end of them and connect them with a pair of rivets to the holster. Be careful when it comes to sizing. Take into consideration what kind of belt you usually wear. Better make the size a bit larger, so even if you use several different belts, you will be able to wear the holster in a comfortable fashion. Now you officially have a brand new holster for your pistol. But before deciding to use it on the shooting range or taking it out into the city, make sure that it is clean and no residue will get into the mechanical parts of the gun. Use a piece of cloth and a bit of alcohol during the cleaning process. Put some alcohol on the cloth and rub the material as hard as you can. If you have a tube of compressed air feel free to get out the smaller kydex pieces from every nook and cranny, before cramming the gun in. As soon as you are done with this, try it out. Make sure that the gun has a good draw, and that everything feels good when using it. If you feel that the draw is unnatural, rub some gun oil onto the holster to make the entire process more seamless. 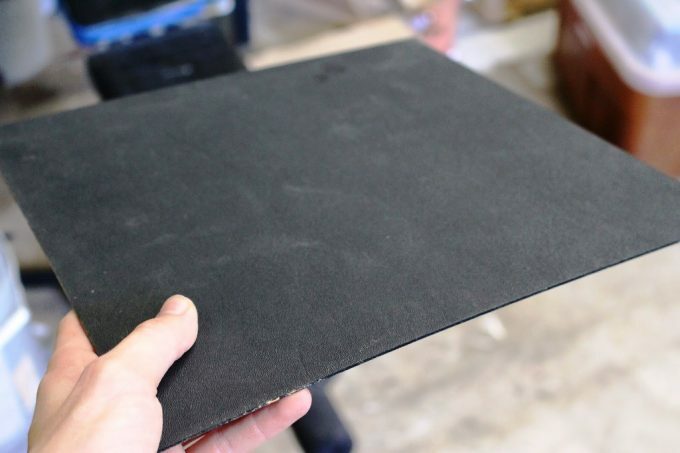 If you have any form of discomfort while using it go back and adjust it with a piece of sandpaper or heat gun, depending on what the issue is. 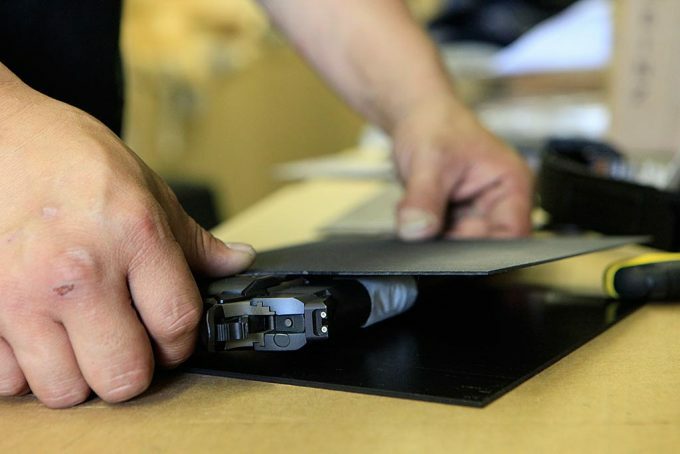 Remember, if it was not cut, kydex can be adjusted and re-adjusted as many times as you want. Otherwise, enjoy your brand new holster! And with this, we have arrived at the end of our article and hopefully, your brand new holster is fully usable and benefitting you with every passing day. No more scratches or awkward draws from this point going forward, only smooth use and comfortable carry. You are now fully aware of how to properly model a piece of kydex in a way that it becomes a high-quality holster. This is a knowledge that you will more than likely use several times throughout your life. Because as good as a material it is, it will sooner or later degrade, or even if that won’t be the case, you can still make one as a perfect gift for family members or friends. 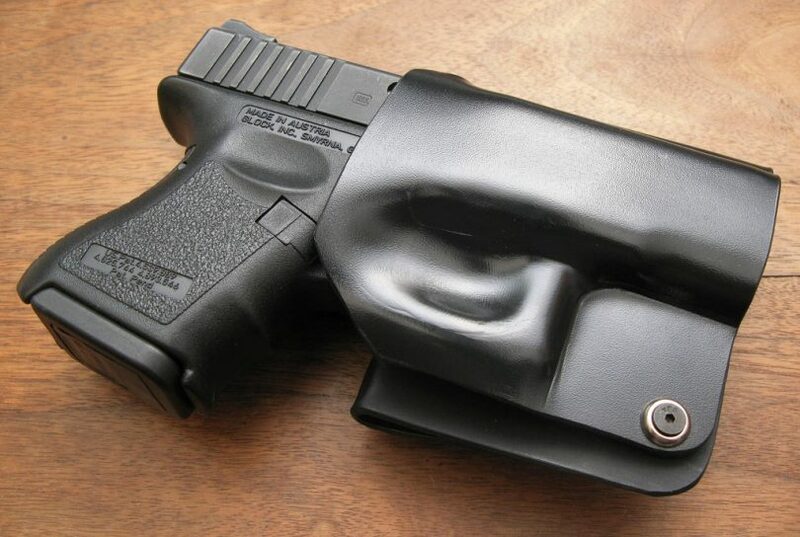 But this is just one way to make a good Kydex holster. With projects like this, there are always dozens of different methods or tricks that one can utilize to get the best possible results. Do you know of any that could help us out or make the process even more simplified? If your answer is yes, then feel free to tell us about it in the comment section, as we are always willing to learn anything that is new and useful.